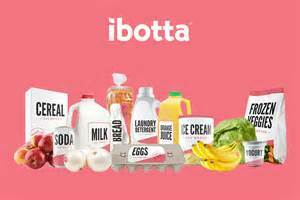 myCountyMarket :: $25 in Ibotta this week? $25 in Ibotta this week? One of the easiest phone apps you can use in 2018 is Ibotta. It's a rebate app that allows you to save money on groceries. It is a rebate, because you get the money direct to consumer. The store does not accumulate the savings like with coupons. The money is paid out to the consumer direct, it is paid each time you reach a $20 threshold. You can take your money in the form of a paypal deposit, or an Amazon gift card, or many other gift card options.